Also referred to as covenants not to compete, non-compete agreements can be crucial to protecting a business’ trade secrets and intellectual property in the event an employee leaves the company. These agreements are effectively contracts that stipulate that people who have been privy to an entity’s trade secrets will not start their own businesses or start working for a competitor and share the trade secrets in an effort to gain a competitive edge. Since 1983, Denver Non-Compete Agreements Attorney Thomas E. Downey has been helping people and business with various matters related to non-compete agreements. 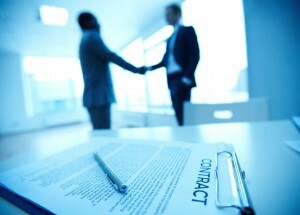 While many non-compete agreements have specific clauses pertaining to non-compete timeframes and/or specific geographic areas or industries in which an employee cannot work for that period of time, the underlying common factors for these types of agreements are that they are legally binding contracts and that violating these contracts can result in serious penalties. People defend themselves against allegations that they have violated non-compete agreements. Assisting employees who are preparing to leave a company make the successful (as well as legal and ethical) transition to starting their own business or working for a different employer. If you need assistance with any issues regarding non-compete agreements, you can count on Denver Non-Compete Agreements Lawyer Thomas E. Downey. Since 1983, Thomas Downey and the other legal professionals at Downey & Associates, PC, have been providing individuals and businesses in the Denver Metro Area and throughout the U.S. with the highest level of legal service for their business law, litigation, property tax and real estate legal issues. Our dedication to our clients, coupled with our extensive experience handling complex matters of contract law, means that our clients can always trust that we will aggressively protect their rights and help them achieve the best possible outcomes to their sensitive legal matters. A choice to work with our Denver non-compete agreements attorney can give you confidence that, at every stage of the legal process, your important legal matters will be handled with expert care and attention and that we will work diligently to help you resolve your case as favorably and efficiently as possible. We have the integrity, experience and resources necessary to ensure that you will receive the highest level of personal service, the highest quality legal services and, ultimately, the best possible resolution to your case. We encourage you to learn more about your rights and options, as well as our various services, by calling us at (303) 813-1111 or by emailing us using the contact form on this page. From our law offices in Centennial, we serve clients throughout Colorado and the U.S.